KE00004 is a solid phase sandwich Enzyme Linked-Immuno-Sorbent Assay (Sandwich ELISA). 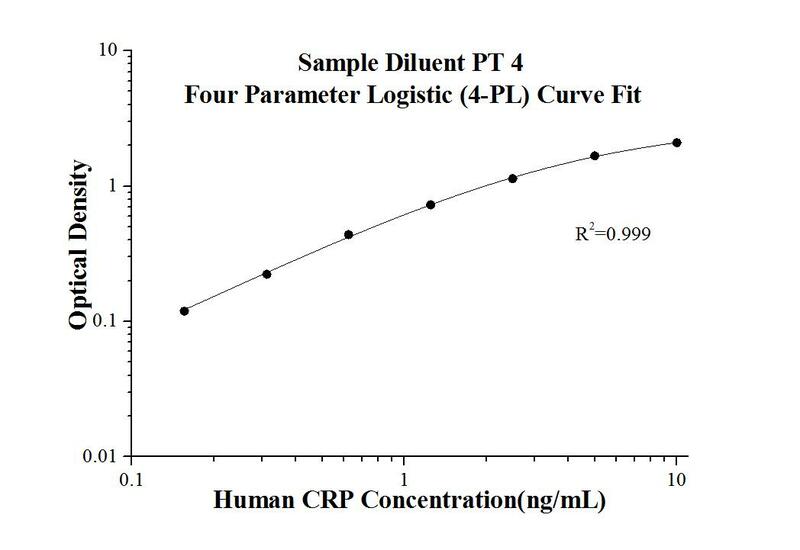 The CRP ELISA kit is to be used to detect and quantify protein levels of endogenous CRP. 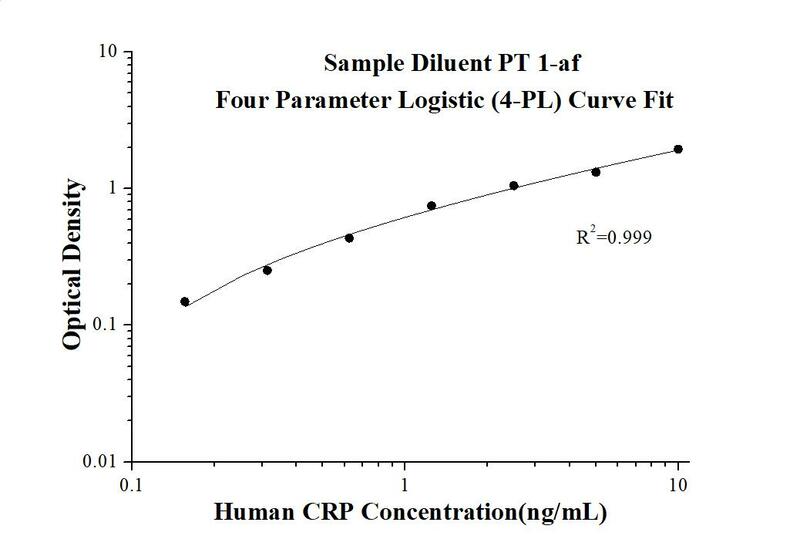 The assay recognizes human CRP. A monoclonal antibody specific for CRP has been pre-coated onto the microwells. The CRP protein in samples is captured by the coated antibody after incubation. Following extensive washing, a monoclonal antibody of biotinylated specific for CRP is added to detect the captured CRP protein. For signal development, Streptavidin-HRP is added, followed by Tetramethyl-benzidine (TMB) reagent. Solution containing sulfuric acid is used to stop color development and the color intensity which is proportional to the quantity of bound protein is measurable at 450nm with the correction wavelength set at 630 nm. C-reactive protein (CRP) is an acute-phase serum protein predominately synthesized by the liver in response to interleukin-6 (IL-6) during inflammation. The name of CRP derives from its ability to react with the C polysaccharide of Streptococcus pneumoniae. CRP is an annular, pentameric protein that belongs to the pentraxin family of proteins. CRP displays several functions associated with host defense: it promotes agglutination, bacterial capsular swelling, phagocytosis and complement fixation through its calcium-dependent binding to phosphorylcholine. It is used mainly as a marker of inflammation.